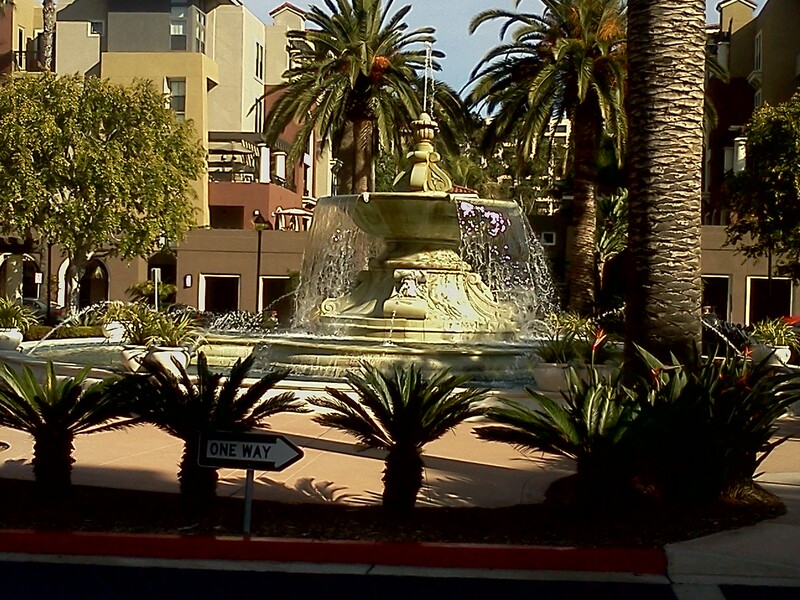 This is Rio Vista, a trolley station with a fountain near the San Diego River. and while we were looking for them, they locked me up in a green North Korean prison. I felt trapped! get over there, I feel lost, trapped and decieved, mainly by her story which gets me in trouble and traps me, since we have our differences between us lately. Had any interesting dreams lately? Feel free to share them right here on Youtopiamedia.com. I was in the airport, going on the plane. I got on the plane and my mom’s voice was on the loudspeaker. Appearantly, she was the pilot! I had to go to the bathroom but over the loudspeaker she said I had to wait because it was too crowded. I sat down in one of the nice chairs in the casino, cruise ship like hallway and waited my turn. Finally, she said I could go in. I felt relieved. Is this about my mother’s recent bout with colon cancer and that I fear that she may control my health with her genetics? Quite possibly cause she is not a controlling person otherwise, even though she is piloting the plane in the dream. What did you dream last night? Let us know here. This is the song that was playing by the” Moody Blues,” today who I truly love. Wouldn’t be funny if every dream you had, you woke up and googled it and found out that it really happened somewhere? I dreamed about badgers that escaped from the zoo that I was visiting. The zookeeper wouldn’t let people into the zoo because it was too dangerous. Then there was a small or baby badger that was intellectual badger in the office or library, on the computer and the sherriff or zookeeper got him out. The dreamed ended. Is this about people sometimes “badgering” me? What are your thoughts? both delightful and frightening. They are improving my life in so many ways, eliminating repetitive tasks and frightening me about their invasion of privacy, especially the mini drones I have heard about that will spy on us, to fight perceived crimes and know everything about us. You can find us here in San Diego at youtopiamedia@gmail.com, on Facebook, Twitter, and Youtube.com/youtopiamedia. For a copy of my novel, “Naked Skydiving,” web design work, or other creative projects you need developed, please call us at 858-405-5306. Coming Soon! The e-book of “Naked Skydiving” for Nook, Android and Ipad! From the Govt at the local Small Business Administration. It was an Obama program. They were very nice to me. Gave me free turkey and told me I was very qualified for a loan cause I have more than 10 years experience. Felt good. I have this aquarium in storage and so went to visit it. There were some hidden seasnakes in the sand that I ignored for a long time. They wanted to crawl out and they had really sharp teeth so I had to grab them before they did. I tried to grab them in the middle neck, but the dream faded.